Transform your business to become more competitive through powerful partnerships. Investing in people and skills mastery for higher performing partnerships. Align ecosystem strategy with corporate objectives and partner motivations. 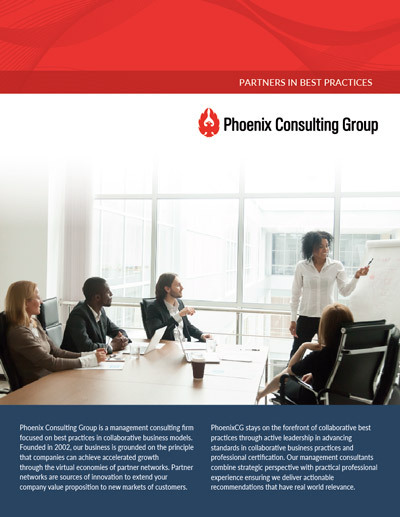 PhoenixCG practices and services help companies optimize their return on relationships. Our practices areas cover strategic development, operational systems and processes, and professional skills development for all types of partnerships and collaboration models.